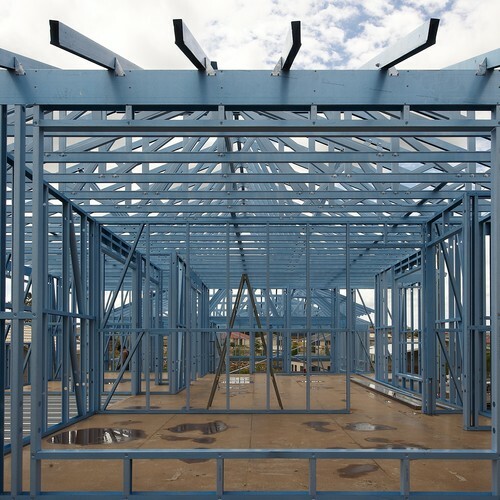 Steeline Metal Framing Systems wall frames are available in two sizes, 70mm or 90mm wide and a variety of gauges as required wich meets your specific needs. All our products meet engineering standards for wind load and project specifications. Our continuous noggin system makes our product very rigid and strong. All connections are pre-punched, countersunk then screwed for a flush join to allow for a smooth plasterboard finish.